Are you looking for a Chiropractor in Monterey, CA? Suffer from pain? Need to find relief from stress, injury, and lethargy? If so, there is only one proven solution for you – the experienced chiropractic services from your trusted Monterey Chiropractors, Monterey Chiropractic Care! Monterey Chiropractic Care wants to help you rise to a new level of health! 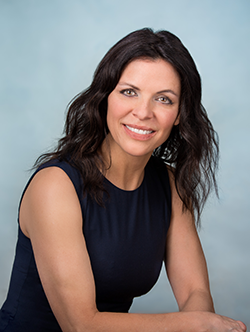 Dr. Deborah Diaz, DC can bring out the best in you- whether you are looking for relief from pain, optimal body function, or excellent performance! Located in the heart of Monterey, and also proudly serving the surrounding communities, Monterey Chiropractic Care’s top priority is dedicating time and effort to help you achieve your health and wellness objectives. Dr. Deborah Diaz, DC combines skill and proficient knowledge in order to help patients of all walks of life accomplish their most ideal physical and mental health. At Monterey Chiropractic Care, we are here to accurately and efficiently determine if chiropractic care can help the health problems you may be experiencing. Dr. Deborah Diaz, DC can help patients of all ages, from infants all the way up to the elderly! It doesn’t matter how old or young you are- if you need relief from pain, stop the suffering and make an appointment with us today! At Monterey Chiropractic Care, our guiding values are centered directly on our patient’s needs. Dr. Deborah Diaz, DC and her staff focus on improving the health and quality of life for all their patients, and educating patients makes a truly lasting difference in their overall well-being. At Monterey Chiropractic Care, we can give you the care and treatment you need in order to create a positive and lifelong impression on the quality of your life. Tired of the pain? You don’t need to deal with it anymore! Dr. Deborah Diaz, DC strives for excellence to help relieve your pain through offering clinical excellence with the latest safe and natural chiropractic care! Ready for a better life? Come see us today- with a rejuvenated nervous system, you won’t believe what is possible and what you can accomplish! Our goal is to help you achieve your wellness needs, improve your quality of life, and facilitate healing through our services. We proudly serve the community of Monterey by offering comprehensive chiropractic care and rehabilitation treatment in a compassionate and friendly environment. At Monterey Chiropractic Care, our number one priority is to help our patients reach their health goals. We establish a game plan to achieve the patient’s desired health goals and deliver the best cooperative and innovative care possible to meet each patient’s aspirations. About Dr. Deborah Diaz, D.C.
Comprehensive Chiropractic Care in Monterey, CA? So what can you expect when you become a patient at Monterey Chiropractic Care? Dr. Deborah Diaz, DC will surely provide you with the help you need in order to live every day of your life to the absolute fullest potential possible. At Monterey Chiropractic Care, our friendly staff makes your office visit fast, efficient, and effective! Dr. Deborah Diaz, DC provides patients prime health and a better way of life by guiding towards a better and healthier lifestyle. Monterey Chiropractic Care is focused on top quality care for all patients and, most importantly, doing so in an encouraging and welcoming atmosphere. There is no need to feel intimidated when visiting Monterey Chiropractic Care because you will experience a stress-free, friendly and professional environment. Dr. Deborah Diaz, DC’s assistants will be waiting to greet you and to help make your visit not only uplifting, but also enjoyable to the fullest degree. Dr. Deborah Diaz, DC and the Monterey Chiropractic Care’s staff gives true meaning to genuine concern for all patients health and well-being. Dr. Deborah Diaz, DC encourages patients to make incredibly helpful lifestyle changes, as well as relieving pain where you need it the most. As a chiropractor, Dr. Deborah Diaz, DC is concerned about your body's overall health! Dr. Deborah Diaz, DC can evaluate, treat, or prevent spine degeneration and can also teach you how to strengthen and protect your back, neck and joints with exercises and proper movement. Dr. Deborah Diaz, DC will also teach you about healthy lifestyle choices because, after all, the health of your spine is linked to the health of your entire body! It is our hope that you have a better understanding of why a healthy nervous system is key to health and relaxation. At Monterey Chiropractic Care we can give you the individual pieces to your health. We are skilled finding the key to your nervous system stress and relieving that tension with skilled treatment. We also treat lower back pain, neck pain, shoulder pain, sciatica, pinched nerves, migraines and headaches, bulging discs, herniated discs, ruptured discs, allergies and many other pain causing symptoms. At Monterey Chiropractic Care we also treat sport’s injuries and car accidents. Why choose Monterey Chiropractic Care? Each person is an individual with unique needs. To a skilled chiropractor, your body is a visual and kinesthetic scrapbook offering a roadmap to the trained eye. Our individual care lets us plan the most effective treatment to relieve discomfort and let you walk away feeling stronger and more relaxed. We do this by a comprehensive consultation and examination. At Monterey Chiropractic Care we value your health as much as you do! Our patient testimonials give you the confidence to let us treat you and give you the results, thousands of other patients have received. We are here to serve your needs.